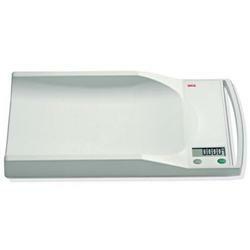 The Seca 334 digital baby scales represent maximum safety and accuracy when weighing babies. Although its weighing tray is designed to be far more generous and comfortable than other models. Although these digital baby scales weighs only 7 lbs itself, it requires amazingly little space.